They Say We Don't Love Our Students. So Why Do I Feel So Guilty Leaving Them? Dave Stieber is a National Board Certified Social Studies Teacher in his twelfth year of teaching for CPS. He last contributed an interview with Pat Frazier, the National Youth Poet Laureate, in August. Well stated Dave. You hit the hard issues right on the head. Thanks for finding words for what many, many teachers have experienced. Thank you for capturing the truth, the emotions. 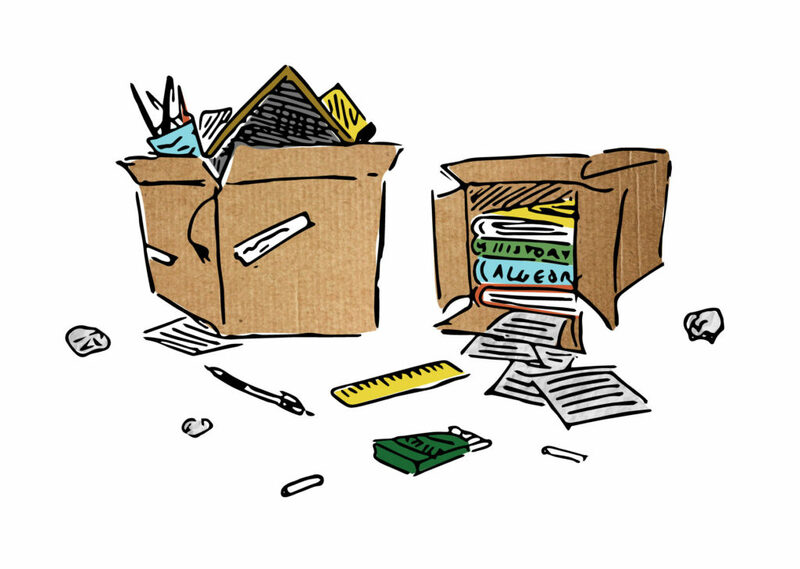 Moving to another school isn’t getting a promotion or transferring jobs. It’s just how you described. Great points Dave. I’m not sure if any other readers were invited to one of the meetings CPS set up with an outside firm trying to figure out how to retain teachers. Frankly, I left disgusted about all the talk of “leadership roles” and “autonomy” that they said their data showed teachers wanted. To me it felt like they were avoiding the issue, resources, both capital and human. I’ve seen over 100 staff leave Fenger in the past 10 years, many of them to better-resourced schools. Sure, part of the issue was a micromanaging administrator that led, too much, by fear… but for some of the best I’ve worked with and left, it was about being in a place that was set up for success. David Stieber you only left us because your new job is a dream come true… Therefore I forgive you! It still hurts to lose you because you make a difference in not only students lives … you make a positive difference in the lives of every person you come in contact with. Enjoy and know that I am in the background rooting for your continued success in making a positive difference in the world. Dave, I was moved to quiet tears by your piece. You have captured the dilemma and the emotions. I spent time teaching at CPS and my children were in CPS and there are many dedicated teachers faced with difficult decisions and situations, and so many students who need them. Thank you for expressing your love of your students, your work, and your guilt about not being able to do it all. I wish teaching was more honored and supported by CPS, and our society. In the meantime, I want to thank you for being so thoughtful and so caring!